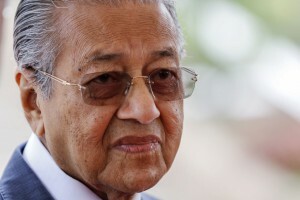 Israel on Thursday accused Malaysia’s prime minister Mahathir Mohamad of “rabid anti-Semitism” after he said his country would not host any more sports events involving competitors from the Jewish state. Last week Mohamad said Israeli swimmers would not be allowed into Malaysiaa Muslim majority countryfor a tournament later this year that serves as a qualifying event for the Tokyo 2020 Paralympics. Foreign minister Saifuddin Abdullah on Wednesday insisted the country would “not host events” that have Israeli participation. “It is about fighting on behalf of the oppressed,” he added. Israeli foreign ministry spokesman Emmanuel Nahshon hit back at the “shameful” decision to bar athletes from the country and said the move “totally opposes the Olympic spirit”. “Israel condemns the decision inspired no doubt by Malaysia’s PM Mahathir’s rabid anti-Semitism,” he said. The Palestinian cause has widespread support in Malaysia, as thousands took to the streets in protest when US President Donald Trump recognised Jerusalem as Israel’s capital in 2017. Israel occupied Arab east Jerusalem in 1967 and later annexed it, declaring the entire city its “eternal and indivisible capital”, but Palestinians claim the eastern part as the capital of their own future state. Kuala Lumpur also refused to host a conference for world football’s governing body FIFA in 2017 as an Israeli delegation was due to attend.